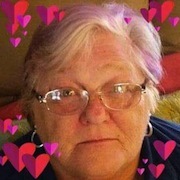 Eileen L. Bower, 71, of 63 Mooley Hollow Rd., Emporium, PA died unexpectedly at her residence on Thursday (August 30, 2018). She was born January 16, 1947 in Lancaster, PA a daughter of the late Paul and Janet Morrow Fry, Jr. On April 16, 1972 in Emporium she married John Bower, who survives. Mrs. Bower retired from the former Level Three Company in Coudersport after many years of employment. She also was an Avon Salesperson for many years. In addition to her husband John she is survived by two sons, Daryl (Margie) Smith, Lititz, PA and Doug (Kim) Smith, Lancaster; one daughter, Mary Sue Eckstrom, Emporium; five grandchildren and three great grandchildren; two sisters, Paula Gephart, South Carolina and Cindy (Jay) Hatfield, Lancaster. She was preceded in death by her parents, Paul and Janet Morrow Fry, Jr., The family will receive friends at the Barnett Funeral Home, 207 E. 4th St., Emporium, PA on Friday (September 7, 2018) from 1:00-2:00 PM followed by the Memorial Service at 2:00 PM with Pastor Richard Bennett, officiating. In lieu of flowers, consider donations to raise funds to assist with final expenses. Donations can be mailed to the Barnett Funeral Home, 207 E. 4th St., Emporium, PA 15857.